This Friday, February 24th, for the third time, the residents of Hebron call upon the international community to stand in solidarity with them and demand the open access to Shuhada Street. In the recent two years for the Global Day of Action to Open Shuhada Street, direct actions and protests took place in Hebron, Israel, the U.S., Europe and many other places all over the world. The conditions in al Khalil, the Arabic name of Hebron, are often said to describe the Israeli Occupation in a nutshell, and it is indispensable for anyone seeking a more thorough understanding of the situation of Palestine/Israel to do a Hebron tour. The city center of Hebron is divided into multiple sectors, which have been established to supposedly appease the tension between the 800 settlers and the Palestinian residents of Hebron, but which factually do nothing more than restricting the movement of the Palestinian residents. Within this complexity, the story of Shuhada Street displays one of the most obvious and most impudent cases of discrimination against the Palestinian population. Up until 1994, the street constituted a vital part of the economic and cultural infrastructure of Hebron, linking the north to the south and passing by the major markets, the Old City, the Tomb of the Patriarchs and the al-Haram al-Ibrahimi Mosque. 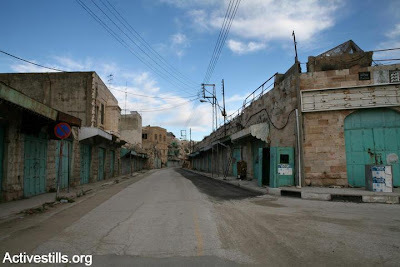 The closing of this once so busy street dates back to the massacre committed by Baruch Goldstein, an American-Israeli settler, who in 1994 stormed the Ibrahimi Mosque, and opened fire on unarmed Palestinian worshippers, which resulted in the killing of 29 and the wounding of 125 more. Rather than attempting to ensure the safety of the Palestinian population, the Israeli army asserted the need to protect the settler community and started restricting Palestinian movement along the street. 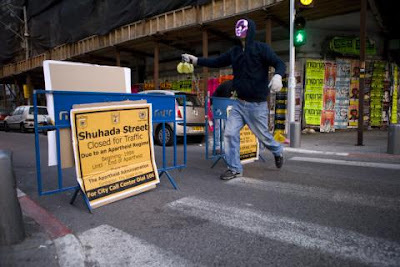 With the eruption of the 2nd Intifada in October 2000, the army enforced more severe restrictions on Palestinian movement on Shuhada Street, prohibiting them from walking or driving on the entire length of the street and also inhibiting Palestinian traffic on adjacent streets. The implementation of movement restrictions for Palestinians resulted in a collapse of the economy in Hebron and turned the once so busy area into a ghost town. According to the Israeli human rights organisation B'tselem, 304 shops and warehouses on Shuhada Street closed down, and a big number of private homes were either abandoned by its residents or closed down by military order. The few remaining residents of Shuhada Street are prohibited from entering their homes through the main entrances and therefore have to resort to either using the side entrances, or if there are none, to enter their homes through the roof by the use of ladders. 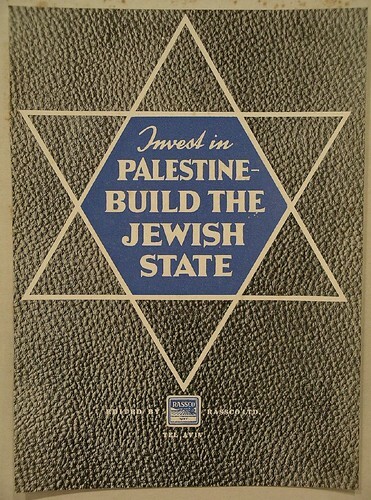 Notwithstanding the great amount of local and international attempts to pressure the Israeli government to act against those discriminatory policies, the Israeli army continues to insist on the maintenance of the status quo. B'tselem reports that no valid military order for the closure has ever been presented and the notorious and seemingly omnipresent rationale “for security reasons” has never been elaborated on. 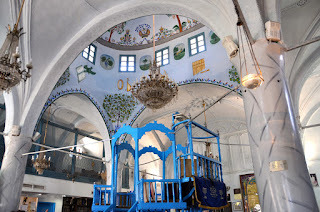 Embarking on a Hebron tour may not constitute an easy experience, but it will definitely broaden a visitor's insight into the complexities of the situation on the ground.